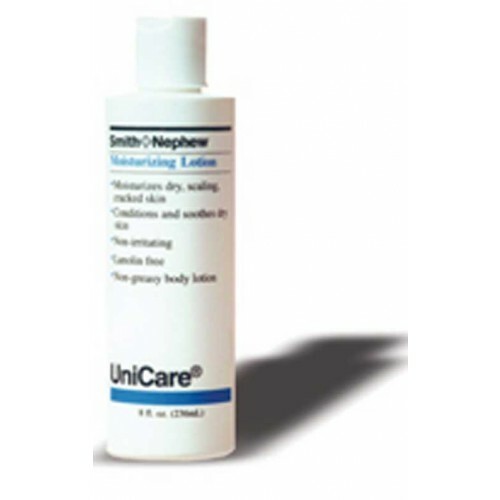 Unicare Moisturizing Lotion, by Smith and Nephew, is a high-grade, prescription-strength moisturizing lotion perfectly suited to soothe, condition and moisturize dry skin. Unicare absorbs quickly after application without any leftover grease or annoying residue. The lotion is completely pH-balanced, non-irritation, non-sensitizing, and is non-toxic. 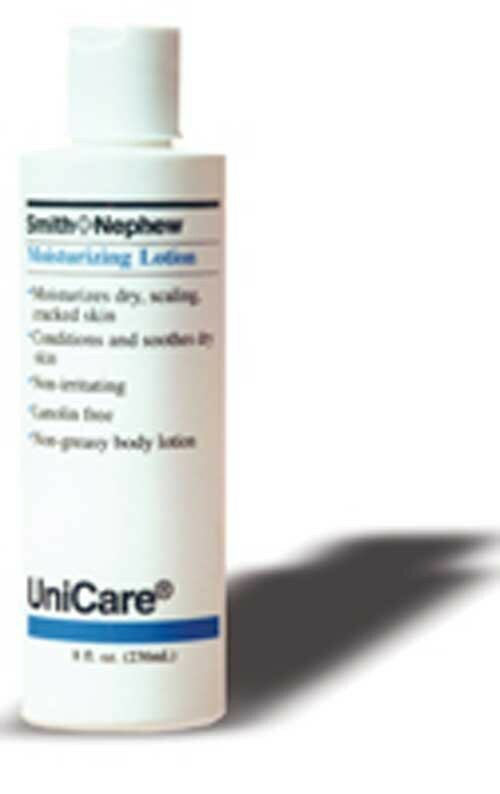 Unicare is recommended for patients undergoing radiation therapy who have symptoms of dry, cracked skin. Unicare Moisturizing Lotion is designed with patients undergoing radiation in mind, using a combined blend of aloe and allantoin to naturally maintain proper skin hydration while helping to reduce the risks to skin integrity like skin tears and skin breakdown. Moisturizes Dry Skin, Absorbs Quickly. pH Balanced to Help Maintain Proper Skin Function. Aloe and Allantoin Naturally Soothe and Condition. May Be Used On Patients Undergoing Radiation Therapy. I used this product on my husband while he was in the hospital and it did wonders for his skin. I know find myself using it and its doing wonders for my skin as well. Which is why I came on site to see if I can find and order some more because the bottle recieved at the hospital is a very small bottle. I received a small bottle of this lotion when I was in the hospital. Until then, I wasn't able to find a lotion that didn't leave me feeling greasy or like I had a film covering me. This lotion is the best! It is light, non-greasy and absorbs quickly.